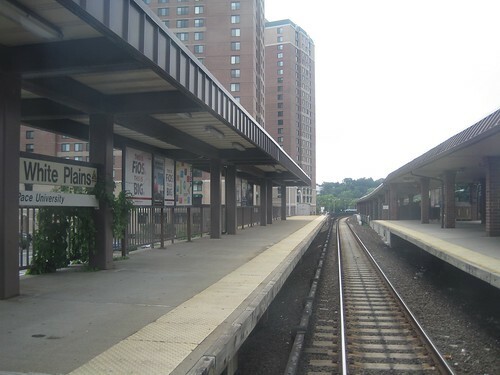 The White Plains station has a main center platform and a side platform used to discharge passengers. The original station was south of the current station, but very little remains of the original station. 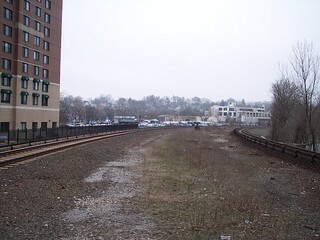 The old station was on the left side of the tracks. 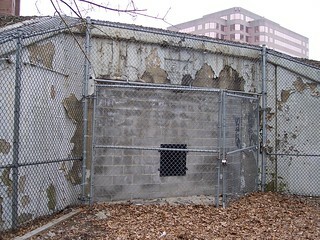 On the right is the now sealed entrance to a tunnel that went under the tracks to the old station.